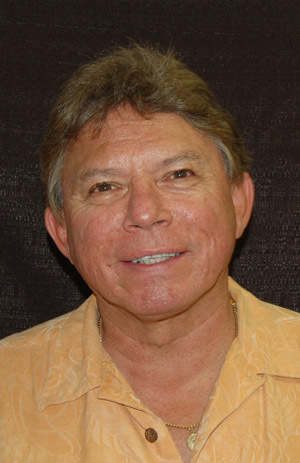 Mac Suzuki joined the Salinas Spurs minor league team in 1992, at the young age of 17. He became the first Japanese player to enter the major leagues without having first played in the Japanese professional leagues. In 1993 Suzuki signed with the Seattle Mariners and was promoted to the majors in 1995. He made his major league pitching debut on July 7, 1996. His debut cast him as only the third Japanese player to play in the major leagues and the first Japanese player to pitch in the American League. Suzuki went on to play for the New York Mets, Kansas City Royals (where he won 8 games in 2000 including a shut-out), the Colorado Rockies and the Milwaukee Brewers before deciding at the end of the 2002 season to enter the Japanese professional leagues. 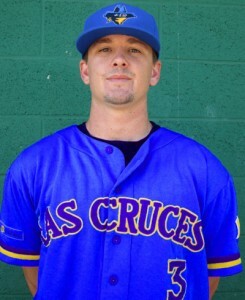 Casey Dill adds to the CWL instructors and comes from the Pecos League. 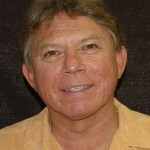 Dill is head coach of Las Cruces Vaqueros. Before coaching for Las Cruces, he worked six years with the Nor Cal Pirates as the Head Coach and Director of Baseball Operations. Dill has also worked as an assistant coach at Chico State and as a staff member at Mac’s Professional Baseball School. Casey also played for the Nor Cal Pirates, playing on five championship Pirate teams. He was voted the Pirates MVP by his teammates in 2007 and 2008. He currently holds the all-time Pirates records in hits (322), runs (275), home runs (13), and stolen bases (128). Darrell Evans made his MLB debut on April 20, 1969 for the Atlanta Braves. He was the first player to hit 40 homeruns in both the American and National Leagues. In addition, he became the oldest player to lead the league in homeruns. In 1988, Evans became the 22nd player to hit 400 homeruns. 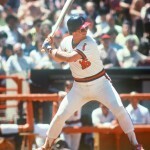 He was also, the second player after Reggie Jackson to hit 100 homeruns with three different teams. Evans hit a total 415 homeruns during his big-league career. 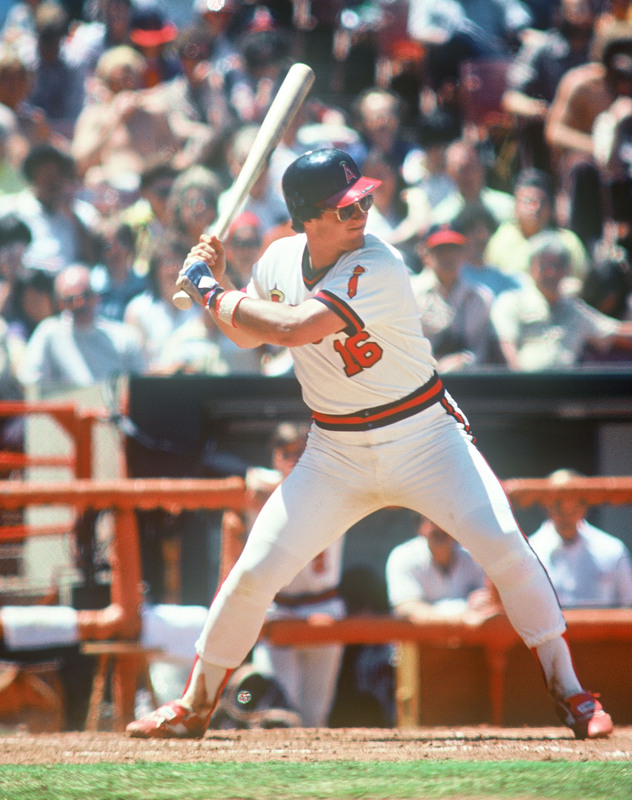 Evans also received the honor of being on two National League All-Star teams in 1973 and again in 1983. Also, in 1983, he received the Willie Mac award for his leadership and spirit. In 1984. Evans was also a Worlds Series Champion with the Detroit Tigers and was the American League Home Run Champion in 1985. After his playing career, Evans coached with the New York Yankees in 1990, and spent a few years managing for the Long Beach Armada of the Golden Baseball League. 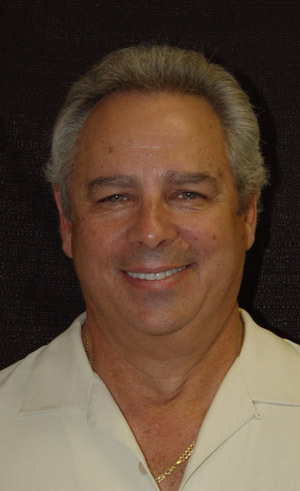 In 2009, Evans managed the Palm Springs CHILL and spent the 2011 winter as the CWL Commissioner. overcoming a 0-2 deficit in the best-of-five Championship series to take home the 2011 crown. VanAsselberg led the Shreveport-Bossier Captains to the 2010 American Association Championship in just his second year with a team that had not posted a .500 record since 2006. Prior to managing the Captains, he spent three highly successful seasons managing the Alexandria (La.) Aces of United League Baseball (ULB). His clubs won back-to-back ULB crowns in 2006 and 2007 and was one win away from capturing a third, falling in the final game of the 2008 Championship Series. In his three seasons guiding the Aces, he posted a 155-114 record (.576 winning percentage) during the regular season and a 12-5 record during the postseason (.706 winning percentage). VanAsselberg was named ULB Manager of the Year after both the 2006 and 2007 seasons. A Gardner, LA resident, VanAsselberg played collegiate ball at Baptist Christian College (now known as Louisiana Baptist University) in Shreveport, winning back-to-back national small-college championships in 1995 and 1996. He was a two-time small-college all-America selection and was named MVP of the 1996 tournament. VanAsselberg started his professional playing career in 1996 with the Alexandria Aces and after one season was signed by the Baltimore Orioles. He also spent time with the Ozark (Mo.) Mountain Ducks in 2001 and Rio Grande Valley (Texas) WhiteWings in 2002, serving as a player/coach for both clubs. 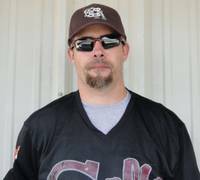 Bobby Brown comes to the CWL a 16-year veteran of professional baseball. Brown is in his first season as the Colts hitting coach after managing in the PECOS league in 2010 for the Las Cruces Vaqueros. He played ten seasons before becoming a coach, spending seven years in the Northern League. Ralph Santana joins the CWL and is the 2nd coach to do so from the Frontier League. Santana is currently in his fifth season with the Southern Illinois Miners and is their hitting and third base coach. Santana started his professional baseball career in 2001, with the Milwaukee Brewers farm system. He finished his 2001 season with the Ogden Raptors in the top 10 in batting average (.337) in the Pioneer League. He also played in the Phillies farm system in 2004. Santana holds the Miners single season batting record with a .342 average and played in the Frontier League All-Star game in the 2007 season. Johnson was drafted by the Dodgers in 1967 and debuted with the Brewers in 1973. He played six seasons in the Big Leagues. Burkhart, a long-time catcher in the Expos, Rangers, Orioles, and Brewers organizations, joins the CWL after his first year with the Lancaster Barnstormers of the Atlantic League, where he serves as the team’s hitting coach. After signing with the Expos in 1997, Burkhart spent eight seasons in affiliated ball before four seasons with the Lancaster Barnstormers and one year with Southern Maryland Blue Crabs out of the Atlantic League. This season, the Barnstormers finished won the Freedom division in the first half, finished second in the second half, and into the Atlantic League playoffs. 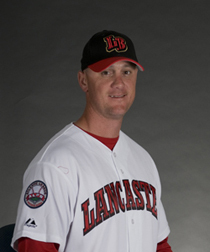 Burkhart’s coaching has been a big part of their success, as Lancaster is second in the league in on-base percentage, slugging percentage, and home runs. Stan Cliburn has over twenty years of managing experience and was hired in January to serve as the new manager of the Sioux City Explorers in the American Association. Cliburn played baseball at the University of Southern Mississippi and went on to have a four year MLB career. Cliburn was drafted in the fifth round by the California Angels in 1974 and made his MLB debut on May 6, 1980. During his MLB career, he was a part of the Angels, Pirates and Braves organizations. After his MLB career he became a manger and hitting coach, and has helped developed some of the top players in the game today. Over his twenty year span of instructing, Cliburn has worked with American League MVP’s Joe Mauer and Justin Morneau as well as many other MLB All-Stars. Harry Gurley has built a very distinguished coaching and scouting career at all levels including professional, collegiate and high school. Most recently Gurley was the pitching coach at Ohio State University for the 2006 & 2007 seasons. During that time, OSU led the Big Ten Conference in team ERA and had its first 10-game winner since 1999. Prior to working at OSU, Gurley was an assistant coach at Southern Illinois when the Salukis finished second at the 1971 NCAA College World Series. He was also a head high school coach in Arizona, Texas, and Missouri. During those stints, Gurley won a Missouri state championship, was an Arizona state championship runner up, and won a Texas Regional championship. In 1984, he spent one season as manager of the Helena (Mont.) Gold Sox of the professional Pioneer League (Class A) and led them to the league championship. Gurley also spent several years as an associate scout for the Kansas City Royals and the St. Louis Cardinals. With all of his coaching and managerial experience, it is no surprise that Gurley is familiar with the collegiate summer baseball circuit. In 1998, he was the pitching coach for the Nevada (Mo.) Griffins who won the Jayhawk Collegiate Baseball Summer League championship and finished second in the NBC Tournament in Wichita, KS. During Gurley’s distinguished coaching career, he has worked with over 35 players who have played affiliated professional baseball, including 12 players who have made it all the way to the Major Leagues. Five of his prized pitching pupils have also been drafted in the 1st round of the MLB draft. Gurley was the 2009 and 2011 Palm Springs POWER Manager and claimed the Southern California Collegiate Baseball League Championship in both seasons. Dan Dipace is an independent league scout and an Associate Scout for the Atlanta Braves. DiPace signed as a shortstop for the Los Angeles Dodgers in 1963. He went on to win a league championship with the West Carolina League in 1964 and in 1965 was the first player selected in the first Minor League Draft by the Minnesota Twins. DiPace led the Midwest League in hitting (.333), hits and runs scored for the Wisconsin Rapids. In 1966 he also led the Carolina League in hitting (.330). 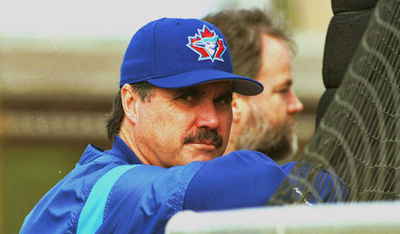 From 1985 to 1991, DiPace was an associate scout for the Montreal Expos and then began a long career as an associate scout for the Atlanta Braves in 1996, a position which he still holds. DiPace has a long history of coaching, beginning in 2000 as a first base and hitting coach for the Aberdeen Arsenal. In 2002 he went on to become a first base and hitting coach for the Allentown Ambassadors in the Northern League, and the Long Beach Armada in 2005. DiPace was a first base coach for the Orange County Flyers in 2007-2008, winning the 2008 Golden Baseball League Championship. He was a coach, and in charge of player procurement, for the Palm Springs CHILL from 2008 to 2009 and was the bench hitting coach for the Victoria Seals of the Golden Baseball League in 2010. DiPace was part of the 2011 Palm Springs POWER SCCBL Championship coaching staff under Harry Gurley.